The New York Red Bulls Pre-Academy Teams offer an unparalleled developmental environment for aspiring young players, and the most successful route into Red Bulls Academy, one of the leading Academy systems in the country. 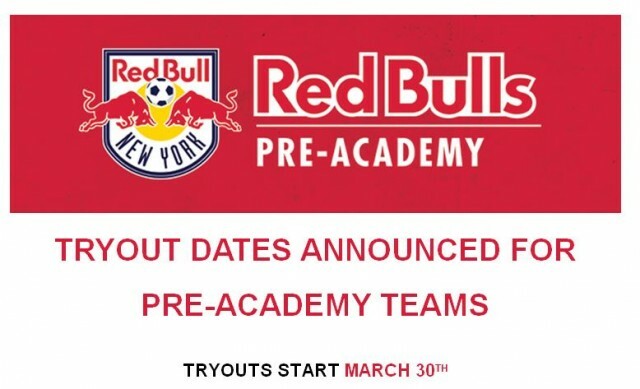 For the 2019/2020 season, the Red Bulls will operate Pre-Academy boys' teams in the 2009 (U11) and 2010 (U10) age groups, which will in turn feed into the 2008 (U12) Academy Team. The Red Bulls are also delighted to continue to develop their girls' Pre-Academy program, with the addition of the 2008 age group supplementing the previously established 2007 pool, as the club looks to develop one of the country’s leading infrastructures for female youth players. Featuring some of the most talented players in the 2007, 2008, 2009 and 2010 age groups, along with expert coaching, unrivaled off-field support, and top-class facilities, the Pre-Academy Teams will provide a training and game environment unlike any other. For further information on the Red Bulls Pre-Academy Teams please click on the tiles below.